A&R Worldwide played a key role in the early development and awareness-building of Dead Letter Circus with U.S./International airplay and attracting the right tastemakers, which spawned Major Label interest. 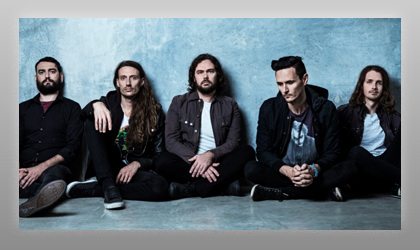 Following a showcase at MUSEXPO 2009 in Los Angeles, Dead Letter Circus signed with Warner Bros. Records in Australia and New Zealand, CAA for live bookings in North America & are currently signed with The Agency Group. Later that year, A&R Worldwide secured DLC a key slot at the inaugural One Movement Festival in Perth Australia to capitalize on the momentum for the band in the states and in Australia to well-received crowd. The following year, A&R Worldwide was able to place them as a headlining act on the main stage before Karnivool at the One Movement Festival 2010, which with over 6,000 people was their largest live audience to date.